With an individual pocket for each one, this superior Storage Roll will keep up to 12 teaspoons sparkling bright and protected against tarnish. Size - 140mm. Available in Dark Blue. 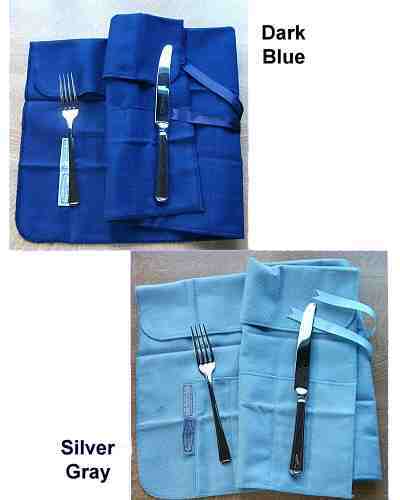 Directions: Simply place one clean cutlery piece in each pocket of the roll and secure with the ribbon. DO NOT WASH the roll as this will impair the anti-tarnish properties.